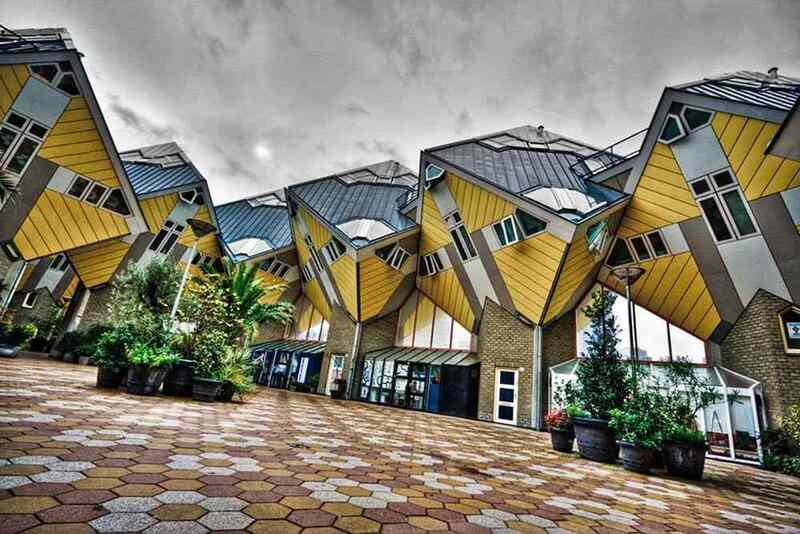 There is no doubt that for every tourist who is about to visit Holland, seeing this infamous set of houses is a must. Even more so, you have an opportunity to stay there during your vacation in the Netherlands! In the third decade of the 20thcenturya Swedish artist Oscar Reutersvard depicted a figurethat defied the laws of math – the “Impossible triangle” with three straight lines turned to 90 degrees from each other. 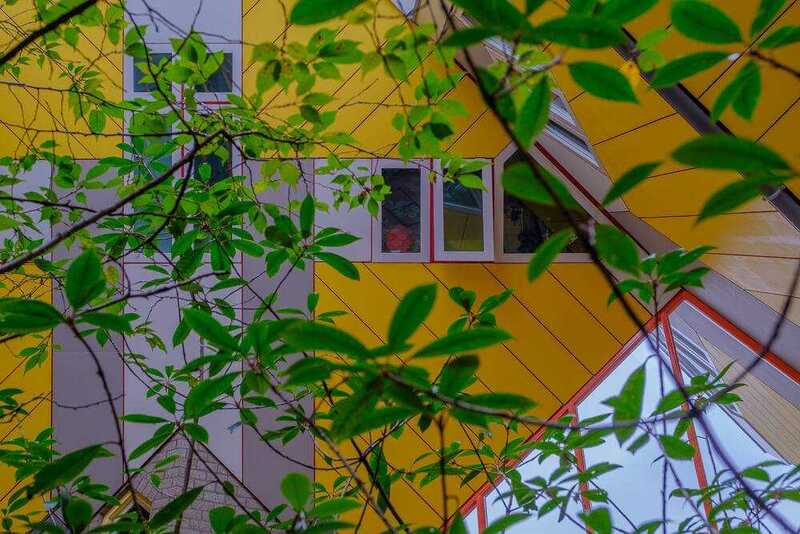 This mind-breaking triangle inspired the Dutch architect Piet Blom. 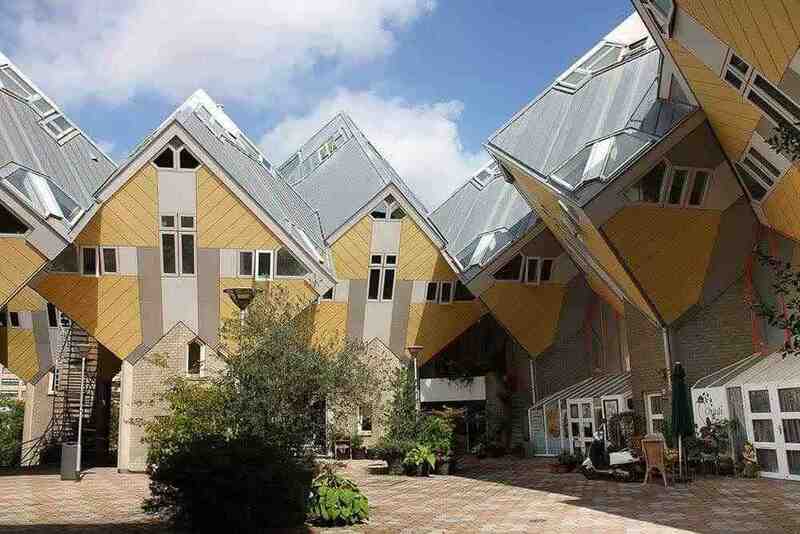 In 1984 a set of houses amazing with its geometry appeared on Overblaak street. Almost four dozens of buildings were installed according to a certain idea that isn’t easy to comprehend if you’re standing up close. But from a bird’s-eye view, it’s clear that the Cube Houses actually form the infamous “Impossible Triangle”! The Cube Houses simply challenge the trivial conception of architecture! Each building has four floors, and has nothing in common with boring regular panel boxlike houses. The three living floors were constructed in the shape of a cube erected upon the pedestal of the administrative floor. The acreage of the three-floor apartment is around 100 square meters. Although the usable space is significantly smaller, since the walls are inclined by 54 degrees! The apartment is perfectly suitable for 4 guests. The first floor contains a living dining room with sofas, a TV set, and a dinner table for 4 seats. This floor also has an open kitchen equipped with everything needed for cooking (Nespresso, oven, microwave, dishwasher, various cooking utensil). The second floor contains two bedrooms and a bathroom. One of the bedroom has a double bed, the other – two single beds. The third floor offers a marvelous 360-degrees view on the city. It also contains a recreation room, where you can enjoy your rest after a saturated day outside. 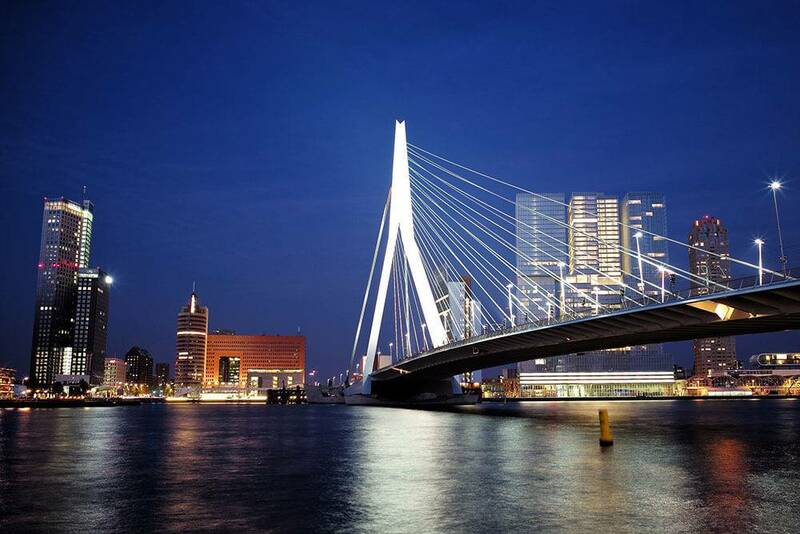 The apartment is located in the heart of Rotterdam, five minutes away from the main railway station.